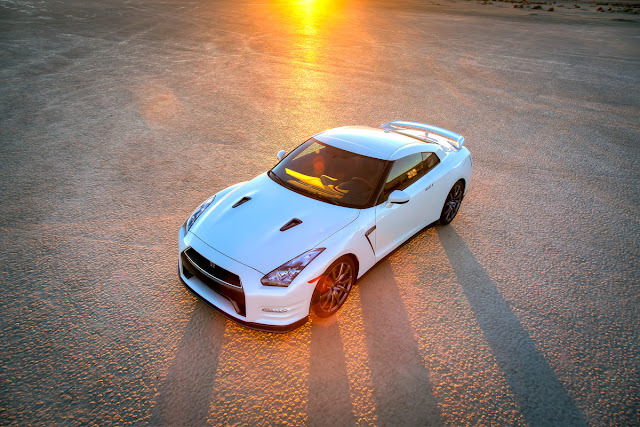 The October sales figures are in, and there were 111 Nissan GT-R's sold in October 2013, up 29 % over October 2012. Year to date 1,063 cars sold vs 1,054 cars in 2012. The 370Z sales were also up big in Oct 2013 537 cars vs 383 cars in 2012. The electric LEAF sold 2,002 in October 2013 cars, up so far 166 percent vs 2012. See the full press release and sales figures after the break. NASHVILLE, Tenn. – Nissan U.S. sales in October increased 14.2 percent to 91,018, up from last year’s total of 79,865. Nissan Division sales also set an October record with 81,866 deliveries, a 15.4 percent increase over the prior year. Sales of Infiniti vehicles totaled 9,152 units, up 4.5 percent. Nissan division posted sales of 81,866 units, an October record representing a gain of 15.4 percent from 70,928 deliveries the prior year. Sales of Rogue crossovers set an October record at 12,919 units, up 53.1 percent, as Nissan prepares to launch the all-new 2014 Rogue later this month. Pathfinder sales in October jumped 90.4 percent to 5,793. Deliveries are up 182.7 percent calendar-year-to-date over the same period in 2012. Frontier sales jumped 71.8 percent in October to 5,242 units, thanks in part to the popularity and increased availability of fuel-efficient 4-cylinder models. Infiniti today reported sales of 9,152 in October, up 4.5 percent from 8,757 units a year earlier. The all-new Infiniti Q50 saw sales of 2,556 units in October, and with two full months of sales, the luxury sports sedan has had 7,357 total deliveries. The Infiniti QX60 7-passenger luxury crossover also had another strong month in October with sales of 2,176 an increase of 4.4 percent. Later this month, the new 250-horsepower QX60 Hybrid goes on sale, offering V6-like performance and best-in-class combined EPA fuel economy. NOTE: To ensure consistency in global sales reporting, Nissan North America calculates monthly variances on a straight-percentage basis, unadjusted for the number of selling days. October 2013 had 27 selling days, while October 2012 had 26 selling days. Nissan Motor Co., Ltd., Japan's second-largest automotive company, is headquartered in Yokohama, Japan, and is part of the Renault-Nissan Alliance. Operating with more than 236,000 employees globally, Nissan sold more than 4.9 million vehicles and generated revenue of 9.6 trillion yen (USD 116.16 billion) in fiscal 2012. Nissan delivers a comprehensive range of over 60 models under the Nissan and Infiniti brands. In 2010, Nissan introduced the Nissan LEAF, and continues to lead in zero-emission mobility. The LEAF, the first mass-market, pure-electric vehicle launched globally, is now the best-selling EV in history.